Lian Li PC-60 Computer Case! 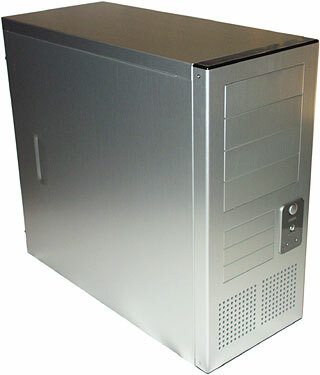 2CPU.com » News » August 2000 » Lian Li PC-60 Computer Case! Duke and I noticed this case yesterday via the HardOCP. Dan's Data took a look at it. It's unfair to call this the Rolls-Royce of cases. It's more like the upmarket Honda. But since most people are making do with the 1974 Toyota Corona of cases, the step up is likely to be rather dramatic. I tried to find a different quote but this one just makes me laugh. There are no doubts that its a beautiful looking case. However, if shiny isn't your bag, there are alternatives.